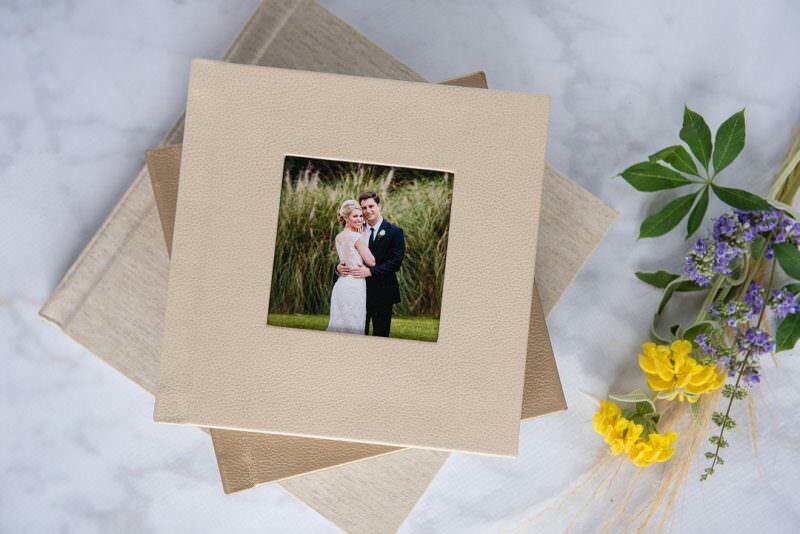 Our line of parent albums, which we sometimes call “skinny” albums, offer an economical choice for parent albums and can be customized from the main wedding album. 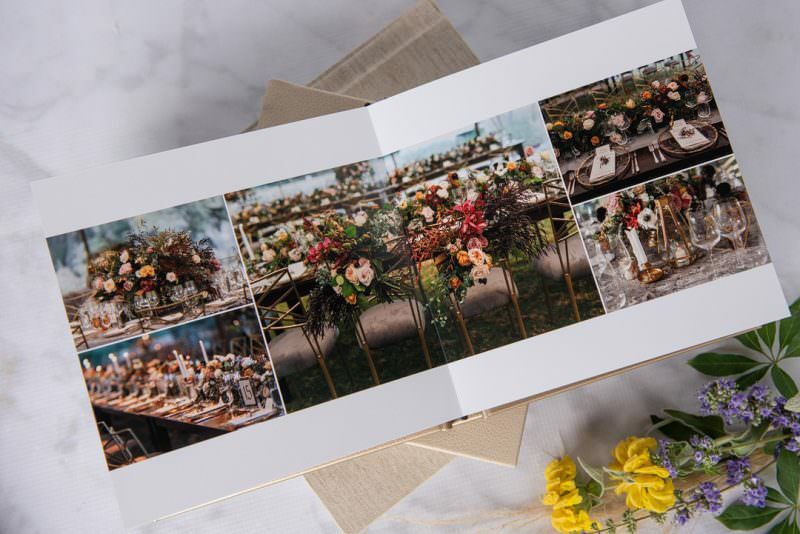 The spreads are printed on archival photographic and mounted back to back. 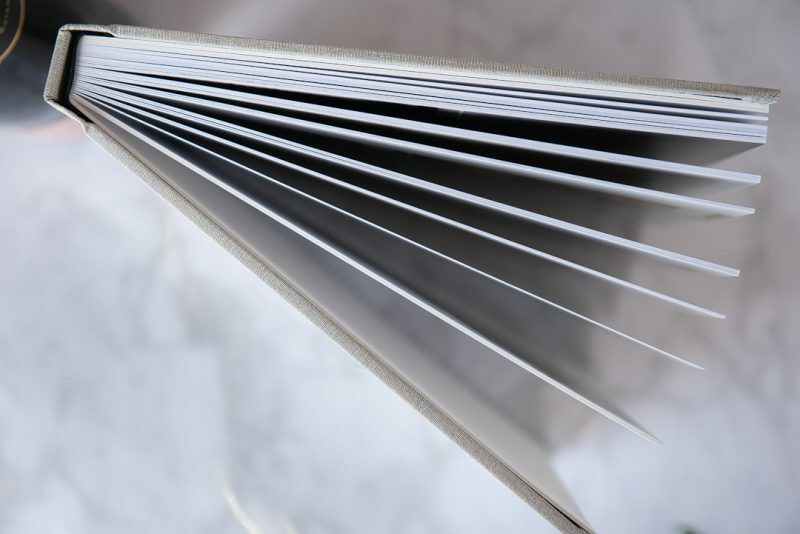 The pages are seamless, full-spread pages (prints mounted edge-to-edge). These are not press-books; but instead a photo book, featuring high-quality, Fuji lustre paper. 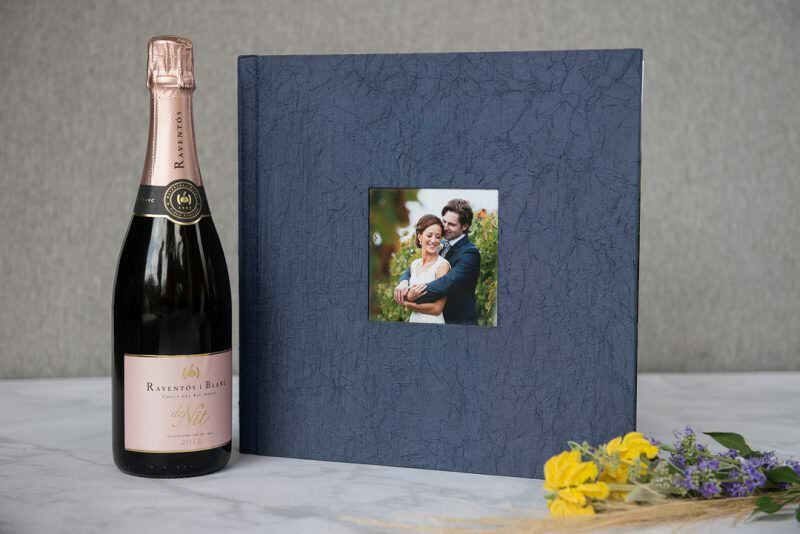 The pages are thinner than our main wedding album line, but the prints are of the same quality. There are many cover choices you can see here and books can be upgraded and personalized to feature a photo cameo cut out on the front. 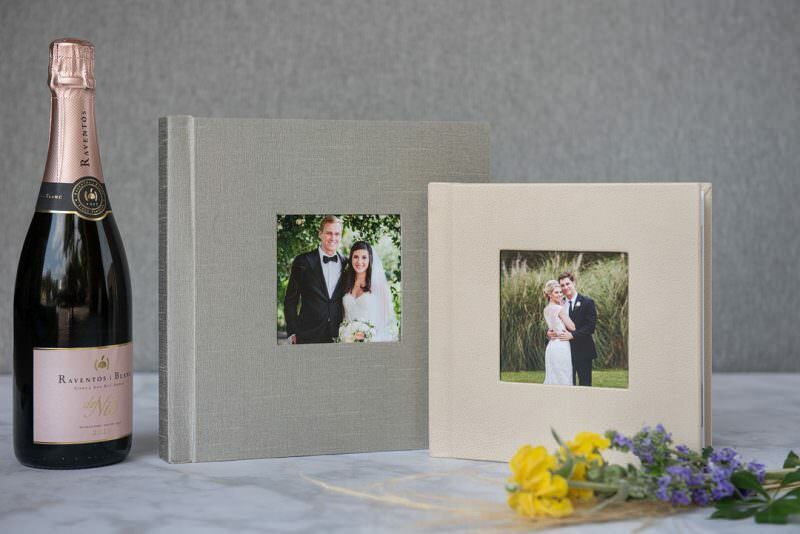 Albums sizes are small – 8″x 8″, medium – 10″x 10″, and large – 12″x 12″. Top: Small parent album in “moonshine” with cameo cutout. Middle” Small parent album in “gold-digger”. Spread detail of parent albums. Prints go across the seam and edge to edge. 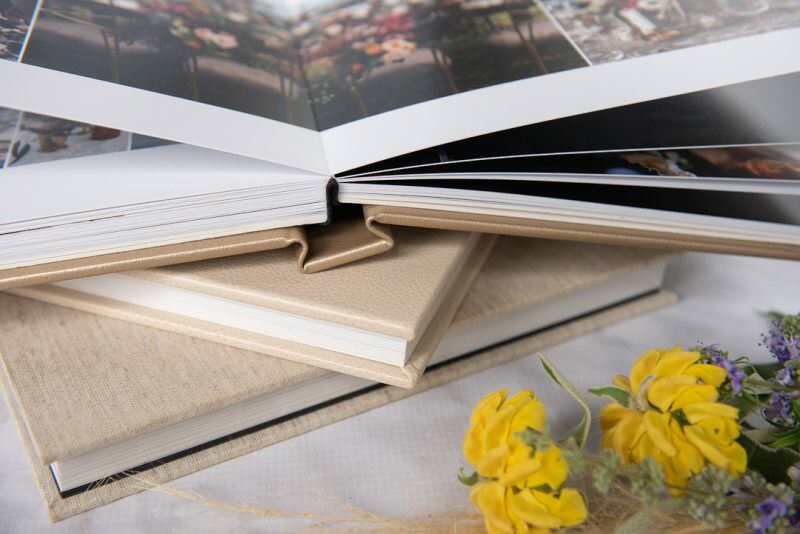 Thinner pages, parent albums are photographic prints mounted back to back. 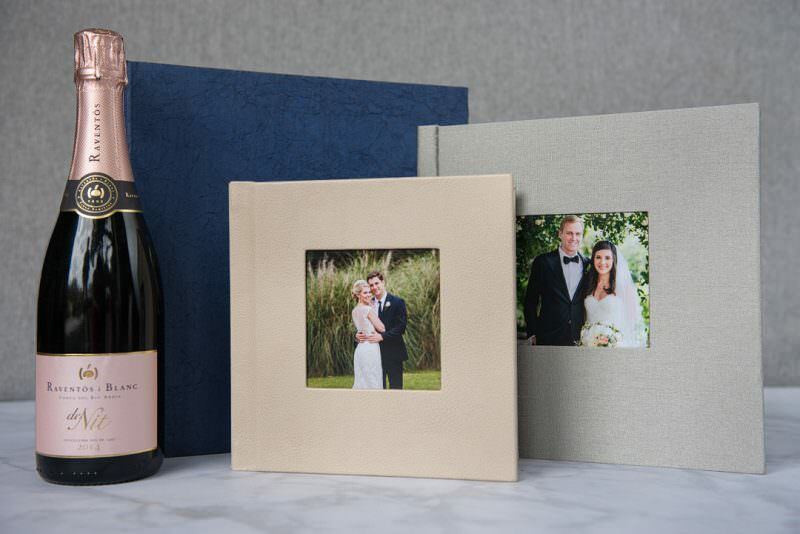 Pages are thicker than a press printed book but thinner than our main flush mount wedding albums. Top: Gold Digger with 38 spreads, Middle: Moonshine, Bottom: Chesterfield. Large 12″x 12″ parent album in a navy crushed silk called “Crave.” Upgraded with a cameo cutout on the front.